This new arterial road located in the Township of Langley links the Williams neighbourhood at 216 Street and 80 Avenue with Glover Road and Trinity Western University through a corridor along the South side of Highway 1. It also provides access to and from Highway 1 and the newly constructed 216 Street overpass. Work included a new water main and a water quality channel along the road as well as the installation of expanded polystyrene in light weight fills. The intersection with Glover Road also introduced a new roundabout to increase the efficiency of access and traffic flows. The Mosquito Creek Spirit Trail (MCST) project was the final piece of the Spirit Trail on the North Shore which greatly improved connectivity in the area, as it removed the need for pedestrians and cyclists to take the lengthy 1.4km detour around Mosquito Creek. The MCST project included challenges such as a portion of it running below sea level, underneath the working boat lift at Mosquito Creek Marina. Engineers designed the trail this way to avoid any conflict with machinery or marine traffic. B&B was the Construction Manager for this project and was responsible for the construction of 600 metres of precast trail which included a tunnel structure, a boat lift structure, and a pedestrian bridge for pedestrians and cyclists alike. The pedestrian bridge proudly displays Coast Salish art by celebrated local First Nations artists. The MCST project included the demolition of the existing boat lift structure, dredging, steel pipe pile installation, underground utility relocation, installation of rip rap armoring, installation of cast-in-place structures, installation of a pre-fabricated wet well, asphalt paving, decorative lighting, and landscaping. B&B kept quality, safety, environmental concerns, time, and budget in mind throughout the project. 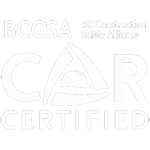 In order to improve safety and multimodal transportation, the City of Surrey administered the widening of Bridgeview Drive from the South Fraser Perimeter Road to 111 Avenue, introducing additional lanes to make Bridgeview Drive a four-lane roadway. Work also included the construction of curb and gutters, sidewalks, cycle tracks, streetlights and raised concrete medians as well as restricting left turn movements at several intersections and existing driveways to alleviate traffic congestion. Lightweight fill in the form of pumice was utilized to minimize the loading on the existing soft ground conditions. The Anderson Creek Bridge serves an important role for fish and wildlife habitat, as it allows them safe passage across King George Boulevard. This project involved the construction of a new bridge structure to replace the existing culvert at Anderson Creek, as well as associated road works to accommodate future widening for a six-lane roadway. B&B widened a 1.2 kilometre long section of King George Boulevard’s arterial road. Other improvements include road realignment, curb and gutters, sidewalks, bicycle lanes, streetlighting, and traffic signal modifications. The Low Level Road Project was a Design-Bid-Build project which consisted of building a new 2.5 KM road which was supported the entire way by MSE walls in close proximity to an active railway. B&B built a new two-lane steel girder overpass structure crossing eight active railway tracks, for the purpose of providing easier roadway access to local industries. During construction B&B maintained the existing roadway traffic using an extensive traffic management plan. The industrial properties, businesses and railway needs were met in maintaining operations without interruption during construction. Roadway and utility installation was coordinated with the City of North Vancouver and Port Metro Vancouver. This included suggesting creative modifications to the existing city and industrial utilities to create a satisfactory buffer between the urban and industrial settings. This was a Design-Bid-Build for Port Metro Vancouver under the direction of Stantec (design engineers for this project). B&B installed 150m of HDPE pipe for a sanitary line. B&B reconnected an existing industrial user to a new force main system which was installed on steep grades and within casings under the railway. When upgrading the utilities under the new road, B&B used a variety of pipe materials including ductile iron, steel, concrete, and PVC. Sizes of pipe varied from 75mm to 750mm. Slopes ranged from 0% underneath rail bed to 66% through the new road structure. B&B reconfigured the existing utilities to fit the new design requirements, which captured creeks, sewers, waterlines, and electrical lines. B&B needed to be mindful of urban neighborhoods in terms of noise control, dust control, providing traffic access, and maintaining services throughout the entire project. The construction of the 580m long, four-lane Coast Meridian Overpass was recognized as the longest push-launch in North America. It was designed to improve connectivity between north and south Port Coquitlam, as the CPR Yard bisected the City itself. This benefited the community by alleviating chronic traffic congestion and supporting interaction between the northern and southern communities. This project was recommended in the “Master Transportation Plan” from 2000 which aimed to keep up with a steady population increase in the area. The Coast Meridian Overpass was constructed over the CP Rail marshaling yard(approximately 400 acres), spanning 50 parallel sets of tracks in the CP Rail Yard, without disruption to the CP Rail operations in Port Coquitlam. 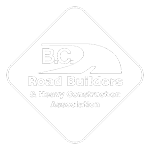 B&B was a strategic subcontractor responsible for all road and utility construction on Coast Meridian Road, Lougheed Highway, and Kingsway Avenue.